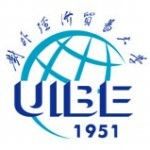 UIBE is one of China’s leading schools for the study of international trade and economics, its reputation for academic rigor and excellence is second to none within its fields of interest. With over 50 years of experience in the field of academia, UIBE offers an extremely competitive environment, highly qualified and experienced faculty, rigorous entry requirements and a challenging curricula, and uncompromising examination standards. UIBE also has implemented a credit-based system with several international universities, providing necessary flexibility to students who select subjects across disciplines in an increasingly complex and specialized global marketplace. UIBE was founded in 1951 as the education and training base for government officials responsible for China’s economic and international business administration under the leadership of the Ministry of Foreign Trade and Economic Cooperation. In 2000, UIBE merged with the China Institute of Finance and Banking and became one of 71 universities under the leadership of the Ministry of Education. UIBE is a leading university in China and serves as a research base for the Chinese administration in the fields of economics, law, regional studies, industrial policies, WTO issues, management, as well as foreign languages (11 foreign languages taught). The WTO Institute in UIBE is a State-level research and education center. In May 1997 UIBE was put on the list of "Project 211" Universities; a governmental program aimed at turning nearly 100 Chinese Universities into exceptionally high quality academic institutions over the course of the 21st century. Consequently, UIBE has become a first-rate national multi-disciplinary comprehensive university in the fields of business, economics, finance, management, law, foreign languages, literature and research under the leadership of the Ministry of Education. Now, after over 50 years of adaptive development, UIBE has become a multi-disciplinary university with economics, management, law, literature as the four kernel classes and preponderant disciplines. UIBE consists of numerous academic schools, departments and research centers, offering over 1440 undergraduate classes, 780 postgraduate classes, and 68 doctoral programs. Such programs as International Trade, International Economic Law, English Language and International Business Management have been designated as key programs under "Project 211". At present, UIBE has a total enrollment of more than 11,000 students from over 30 provinces, autonomous regions and municipalities in China as well as over 102 countries and regions around the world. The university invites dozens of foreign academic professionals to teach or lecture every year in addition to its 730 teaching and 1505 administrative staff members. UIBE is one of the first universities in China to have initiated academic exchanges with foreign academic institutions. Currently UIBE has exchange programs with over 100 universities and institutes from more than 30 countries and regions around the world, including: America, Canada, Britain, Germany, France, Finland, Japan, Korea, Australia, New Zealand, Russia, and many others. These continuous exchange programs represent a valuable resource, and will continue to greatly contribute to UIBE's goal of “opening and facing the world” in the new century. The University of International Business and Economics (UIBE), is located in the lovely Chaoyang District, the most international area of Beijing, located in the Northeastern part of China's capital Beijing; a stone's throw to many of Beijing's most revered monuments, easily accessible to all points of the capital thanks to an ultra efficient and comfortable transportation subway network.